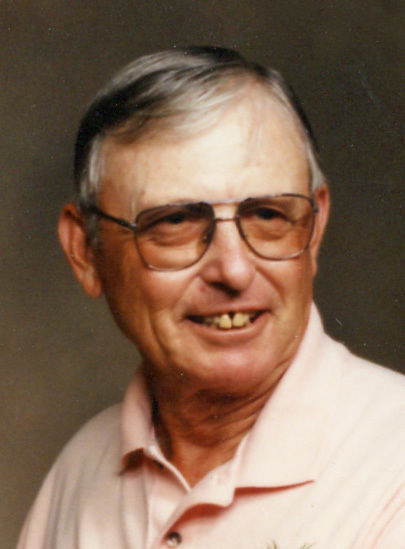 David Sparks, 93, passed away April 10, 2019, at the Veterans Hospital in Des Moines. He was born April 24, 1925, to Lee and Ola Sparks. David was born and raised in Chariton, Iowa, and was the oldest of seven. He served in the United States Army during WWII until his honorable discharge. David had a strong work ethic that was shown even in his teenage years. Prior to his military service, and even throughout, he sent his earnings home to help provide for his family. David retired from Ford Motor Company after 30 years of dedicated service. David was a member of Auburn Masonic Lodge 592 and Boline-Manfredi VFW Post 9662. David is survived by his sons, Terry (Sharon) Sparks, David “Rick” (Connie) Sparks, Bruce (Cindy) Sparks, and Brent (Teri) Sparks; grandchildren, Kelli (Scott) Worth, Matthew (Megan) Sparks, Ryan Sparks, Brande (Brand) Milosevich, Joebe (Reggie) Smith, Chad (Julie) Sparks, Cory (Angie) Sparks, Chasity Sparks (Michael Walker), Desiray Walker (Kyle Maas), Hattie (Brad) Grant, Shawn (T.J.) Cory, Shane (Jen) Sparks, Ben (Valerie) Sparks, and Telsa (Ryan) Comunale; 39 great-grandchildren; brother, Robert (Pat) Sparks; sisters, Jackie Smith, Dixie (Stan) Hillebo, and Colleen Walker, as well as a host of other loving family and friends. He was preceded in death by his wife, Eleanor; sons, Gordon and Joseph Sparks; and two sisters, Leona Stoler and Florine Pirtle. Visitation will be held Thursday, April 18, 2019, at Hamilton’s near Highland Memory Gardens, 121 NW 60th Ave. in Des Moines from 12-2 p.m., with funeral services to begin at 2:00 p.m. Burial will follow the service at Highland Memory Gardens Cemetery. Memorial contributions may be directed to the American Cancer Society in loving memory of David’s wife.